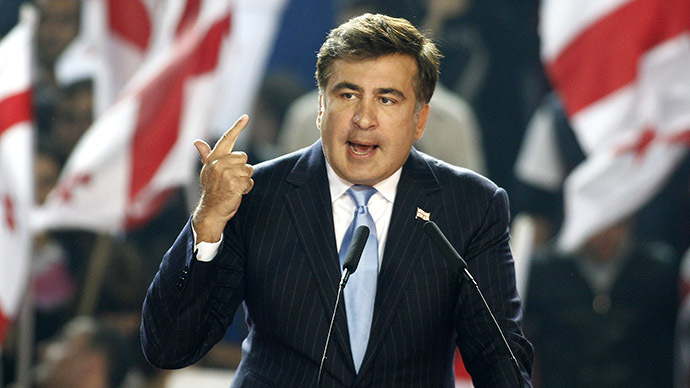 The Ukrainian cabinet of ministers has nominated the former president of Georgia, Mikhail Saakashvili, who has been placed on an international wanted list in his own country, as the governor of Ukraine’s coastal Odessa region. Ukrainian President Petro Poroshenko was set to meet Saakashvili on Friday to approve his candidacy for the post before officially announcing the appointment, according to the presidential press-secretary Svyatoslav Tsegolko. The fugitive Georgian leader has already been granted Ukrainian citizenship, which makes him legally eligible for the post, according to Ukrainian journalist-turned-MP Sergey Leshchenko, who also confirmed Saakashvili’s appointment as Odessa governor. Saakashvili has been a long-standing supporter of the current Ukrainian authorities ever since they ended up heading the coup that eventually toppled the previous administration in February 2014. Earlier in May he was appointed to President Poroshenko’s advisory council on reform, along with the hawkish anti-Russian US Senator John McCain who chose to decline the offer. There were reports that Saakashvili was already appointed to the post, published by the Ukrinform agency, citing two unnamed sources in the administration, and confirmed by Interfax Ukraine, but no official confirmation had been released. But since Ukraine’s cabinet of ministers allegedly nominated Saakashvili as per Poroshenko’s own recommendation, it was a virtually done deal. Saakashvili will become Odessa’s governor with “99 percent probability,” the deputy head of the Ukrainian president’s administration, Valery Chaly told Ukraine National News (UNN), stressing he was speaking as an “analyst,” not presidential representative. Meanwhile Saakashvili himself said on Twitter that he “loves Odessa,” without elaborating further. The official announcement on Saakashvili’s appointment as the man in charge of Ukraine’s strategic Odessa region is widely expected on Saturday.